Kendrick Dayqwon Wilkerson, age 27. Was born January 18, 1991 in Dayton, OH. to Kenneth Wilkerson and Linnie Edwards. As kids Kendrick and his brother were a handful but also known by Rev. Legget as the “Street kids.” A graduate from Columbus City Schools and formely employed at central Aluminum. 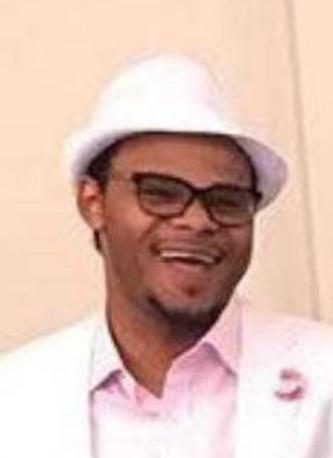 Kendrick better known as “Moo-moo” became a member of Family Missionary Baptist Church where he was actively involved in the choir, ministry 4 movement, security, and outreach ministry with the youth. He was a very loving, caring, good hearted and respectable young man. He took pride in being a son, brother, and uncle. He is preceded in death by grandfather Johnny B. Wilkerson, grandmother Ethel Edwards, and brother Sir William Sims. Kendrick leaves to cherish his memory with parents Kenneth Wilkerson, and Linnie Edwards, siblings Donald Edwards, Kutoya, Kenneth, Delvan, Charrelle, Sparkle, Kendall, Kenwood, Kentay Wilkerson, grandparents Doris Wilkerson, and Donald Edwards, also a host of nieces, nephews, family, and friends. Kendrick was passionate about bringing his family to church and in the body of Christ. He will be lovingly missed by all who had the pleasure of knowing him. Visitation 11:00 am and Funeral 12:00 noon Thursday June 7, 2018 at Family Missionary Baptist Church 996 Oakwood Ave.
Our hearts are so heavy to learn the passing of our cousin may you Rest In Peace always. To our family in Ohio we send love and prayers for you all. To the family of Kendrick, you have my condolences in your loss. Death is truly difficult, especially when it is a young person with their whole life ahead of them. Romans 6:23 says “For the wages sin pays is death, but the gift God gives is everlasting life by Christ Jesus our Lord.” May you rely on God’s promise that Kendrick will live again!